Retail theft is a major cost for businesses worldwide. Companies spend a lot of time and money fighting shoplifting. According to Loss Prevention Media, retail theft accounted for nearly $18 billion in U.S. losses in 2016. Only about 7.8 percent of those losses result in a recovery. These numbers are significant. Clearly, retail employers have a strong incentive to monitor for, and prevent, shoplifters. But, in doing so, they need to be careful about how they go about those efforts. Inappropriately profiling people can lead you down a slippery slope as a number of retailers have discovered. In a recent press release from Massachusetts Attorney General Maura Healey’s office, Lord & Taylor will be hiring a professional consultant to review and improve its shoplifting prevention policies as well as paying $100,000 to resolve an investigation into racial discrimination in its existing policies. “Covering all four of Lord & Taylor’s Massachusetts stores—in Boston, Braintree, Burlington, and Natick—the AG’s investigation arose out of concerns that the company’s efforts to prevent shoplifting perpetuated a climate of racial and ethnic bias resulting in, among other things, the disproportionate targeting of black and Hispanic customers for surveillance and apprehension,” according to the release. The AG’s office added that Lord & Taylor fully cooperated with the AG’s Civil Rights Division during its investigation and in agreeing to proactively address these issues. Still, damage, from a court of public opinion standpoint, had already been done. One of the major causes of racial profiling by employees is unconscious bias towards certain groups. Even though employees may not be aware of it, they can be making snap judgements about individuals or groups based on stereotypes and preconceptions. In addition to being generally bad publicity, the Lord & Taylor’s case demonstrates the costly regulatory and legal penalties that can come with racial profiling in shoplifting prevention efforts. Employers need to carefully train their staff to ensure that such incidents don’t occur. One area of important emphasis is on actions, not on individuals. 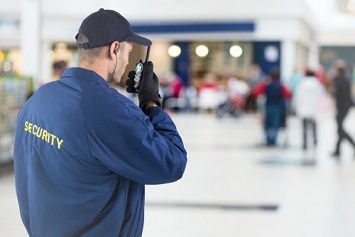 Employees should be trained to observe behaviors exhibited by shoppers that might hint at the potential for retail theft, not on personal traits or attributes like race or even clothing and hairstyles. Effective retail theft deterrence isn’t about what people look like, it’s about what they do. Emphasizing this to staff, through training and ongoing communication—and training them on what to look for—can go a long way toward avoiding these types of claims.